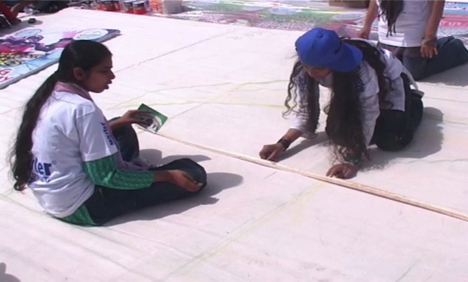 LAHORE: Over 1,300 students collaborated in making the world largest painting on the occasion of Pakistan Day. The 42,000 square foot painting which was of the national flag represented the different cultures of Pakistan. The process started at 9 am at the National Hockey Stadium in Lahore.